I bought a box of Thin Mint Girl Scout cookies...and then I ate them. The whole. stinking. box! Yup, I sure did. And you know what else? I don't feel bad about it. I have NO guilt what.so.EVER! NONE! With every bite I took, I reminded myself that I was supporting a great society by eating them. A society that EMPOWERS girls to do more...to get involved in their community and to help others. So essentially, I was helping others by eating cookies. I like the way that sounds, don't you? And since I am SUCH an awesome supporter of the Thin Mint Girl Scout Cookies Society, I not only bought from one Girl Scout but TWO! Yea, I'm awesome like that. Which means that I now have enough cookies to feed a small army. My first thought was to freeze them in hopes that I would forget about them but quickly realized that the freezer only makes the cookies cold which actually inhanced the flavor. UGH! This simply will not do! I CAN NOT have these in my home or I will proceed to eat every last box of them necessitating the need for more TRX classes (which you can read about here). Again...this simply will NOT do! Soooo....I had to come up with something I could do with them ASAP! And I did what any good food blogger would do. Oh yea I did! Then I proceeded to waste an hour of my life looking at all the things that other people create and suddenly felt inadequate. So I soothed myself with a few more Thin Mint Cookies...again HELPING a great society. Did you know that there are like a meell-ion recipes out there for Thin Mint cookies? I had NO idea! GHAH! 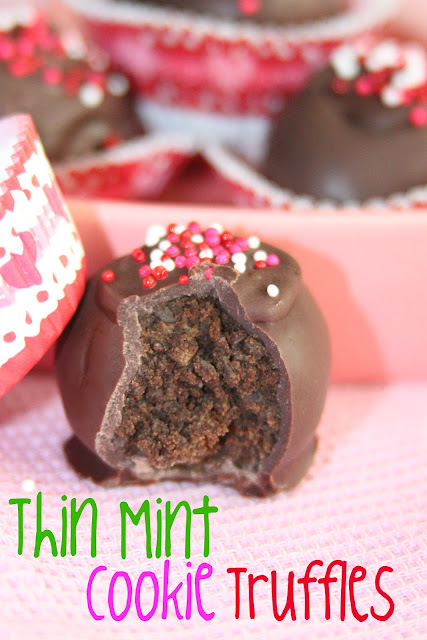 I came across one for Thin Mint Truffles and knew that those were the ones to make (mostly because its the only one I had all the ingredients for). Add then I made them...and we ate them! So heres the recipe...Now go make your own and be a GREAT supporter of the Girl Scouts! Crush cookies to fine crumbs in food processor. (Cookies can also be finely crushed in a resealable plastic bag using a rolling pin.) Add cream cheese; mix until well blended. Roll cookie mixture into balls, about 1-inch in diameter. Place on cookie sheet lined with wax paper. Dip balls in chocolate using toothpicks; place on wax paper-covered baking sheet. (Any leftover chocolate can be stored at room temperature for another use.) Sprinkle with reserved cookie crumbs or your favorite sprinkles immediately after dipping. Refrigerate until firm, about 1 hour. Store leftover truffles, covered, in refrigerator. Yea, like there will be an left to store. Uhm...NOT! So tell me, what do you do with your Girl Scout cookies? Do you just eat them straight from the box or do you conjur up some new recipe? 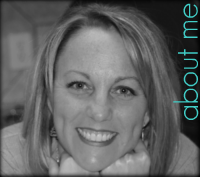 I'm Lovin' it Fridays (TidyMom), Friday Favorites (Simply Sweet Home), Latest & Greatest Friday (Days of Chalk and Chocolate), Bacon Time, Fusion Friday (Jane Deere Blog). These look awesome! I'll have to try this with the next box of Thin Mints...if they make it that far. I like to crush them up over vanilla ice cream. Nice and simple. Stopping by from The Girl Creative. Cheers! I LOVE crushing my Thin Mints up over ice cream too. YUMMY! OMG, I need one now (for breakfast)! So cute and yummy! I would love it if you would link up to my Valentines Party @ www.cheapcraftymama.com! These look so incredible! Anything thin mint and a truffle is tops in my book! We would love for you to share this at our link party! 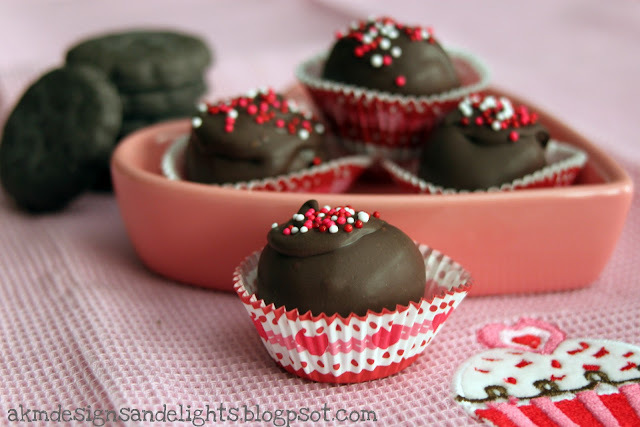 oh these sound better than the oreo truffles. They bury oreo truffles! They are utterly addictive! Really sounds delicious. Thanks for sharing. I am now following you and also I pinned this onto my Pinterest. Thank you so much for pinning me AND following me! *blush* It's people like you that keep me motivated to keep creating! These sound amazing! I'm looking for desserts for a Superbowl party I'm going to this weekend. I think these just might be a winner. But I'll be buying some Grashoppers. I'm not very good at sharing my Thin Mints! I bought two boxes the other day in front of the grocery store:) Can't wait to make some truffles! Thanks for sharing this at my Valentines Party! 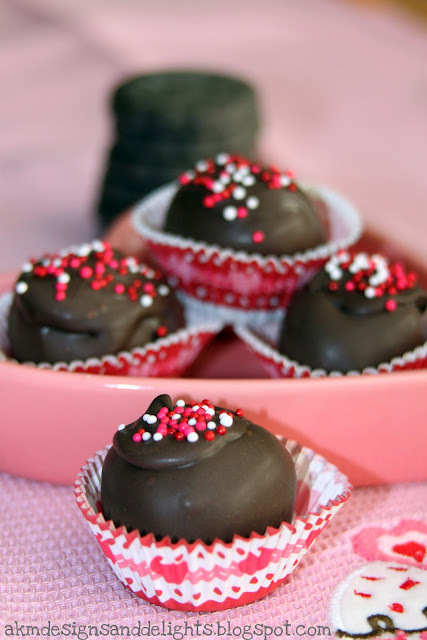 I'm featuring it tomorrow in my "Top 10 Valentines Treats" post! Feel free to stop by and grab a "featured" button! I am so excited for the feature! Thank you so much! I absolutly will stop by for a "featured button". THANKS! I just bought some girl scout cookies and was thinking of doing this very thing! Thanks for linking up for Friday Favorites. Please come back and link up again this week! Go make you some truffles girl!